Weekly radio show "Maretimo Sessions" expandes strongly ! 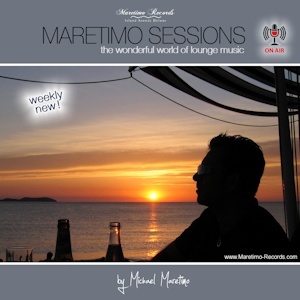 I´m very happy to announce, that my weekly lounge radio show "Maretimo Sessions" expandes strongly with some new radio stations around the globe ! I'm looking forward, to broadcast since the last week on, my weekly program additional via the following radio stations as well: Naja Radio (USA), Schalldeluxe (Germany) Radio Satellite (France), Sword Radio (UK), Radio Coltano Marconi (Italy), Realdance Radio (The Netherlands), Radio Gewoon Voor U (The Netherlands), Beach Chill Radio (Spain). Also a big "thank you" goes out also to my long term partners :) Zen FM, Radio Play Emotions, Costa Del Mar Chillout Radio, Athens Jockey Radio, Robinson FM & Radio Schwabmünchen for theyr great collaboration. Music is my passion and i love it so much to do this greatful music job for you all and are very happy to reach now so much new fans around the globe !